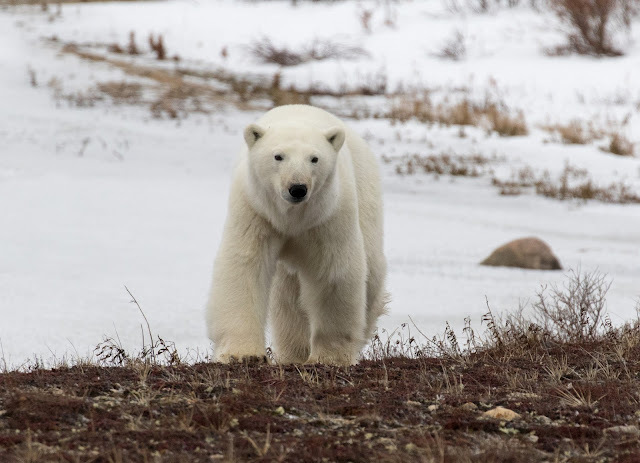 On my second day in Churchill, I took a tour on a Tundra Buggy, a specialised vehicle which is able to access areas too rugged for even a 4WD SUV to travel on. This is the most common method of polar bear viewing, particularly on package tours (though it is possible to book day trips on them independently, as I did). 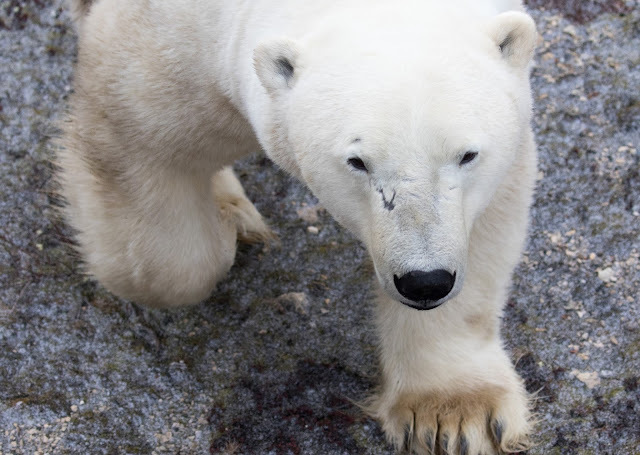 I've written previously about the controversy of this method of what can be considered industrial tourism. Certainly, it is dependant upon the very fossil fuels which are threatening the bears' habitat, though in my experience, some of the worst excesses of the past, including venturing off the established trails (and thus damaging the tundra), and attracting the bears by greasing the tyres of the buggies are no longer practiced. 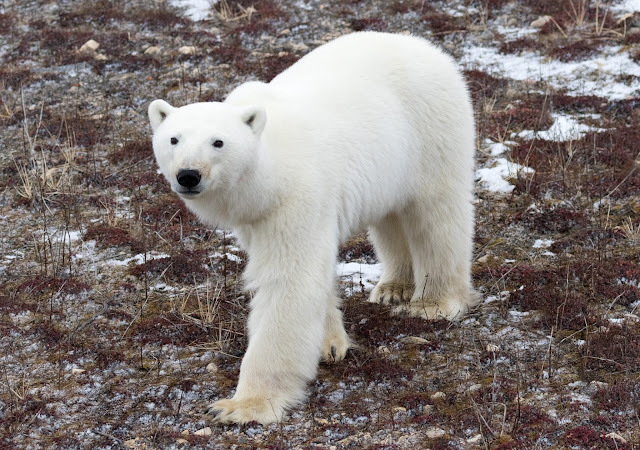 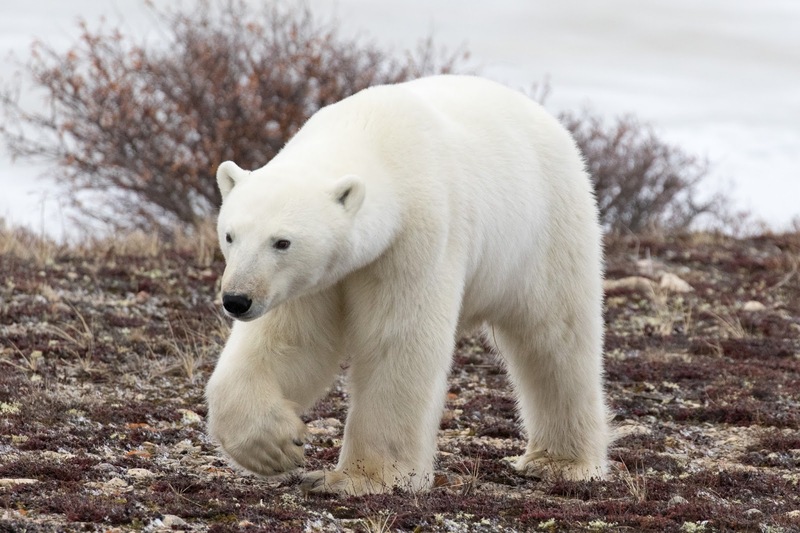 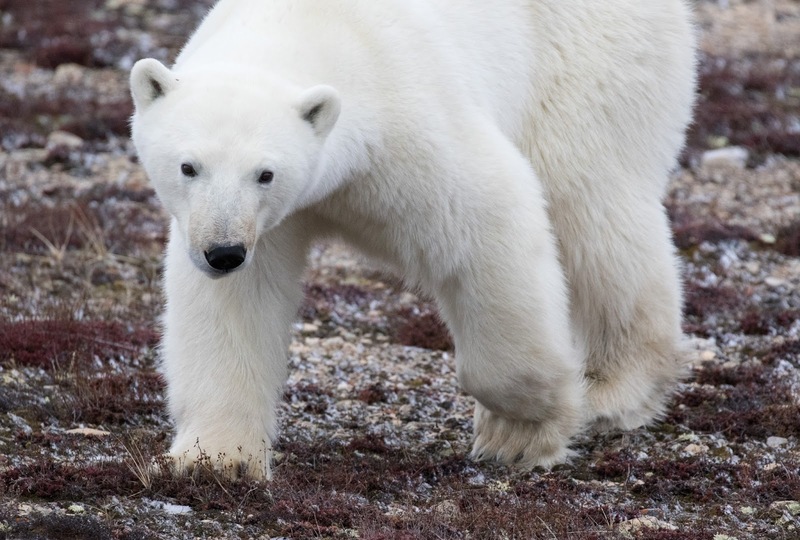 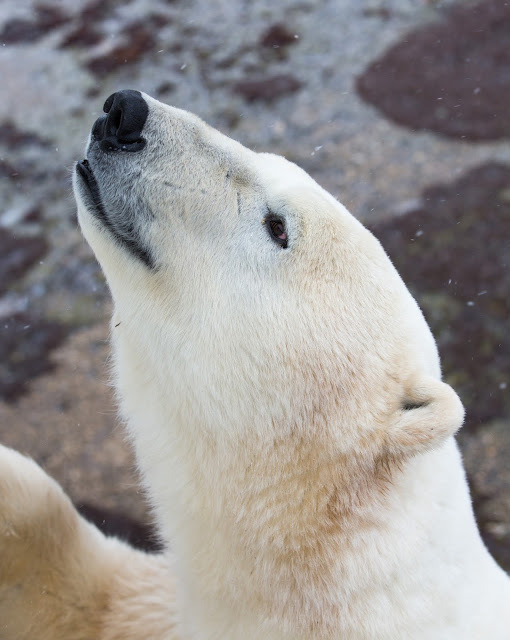 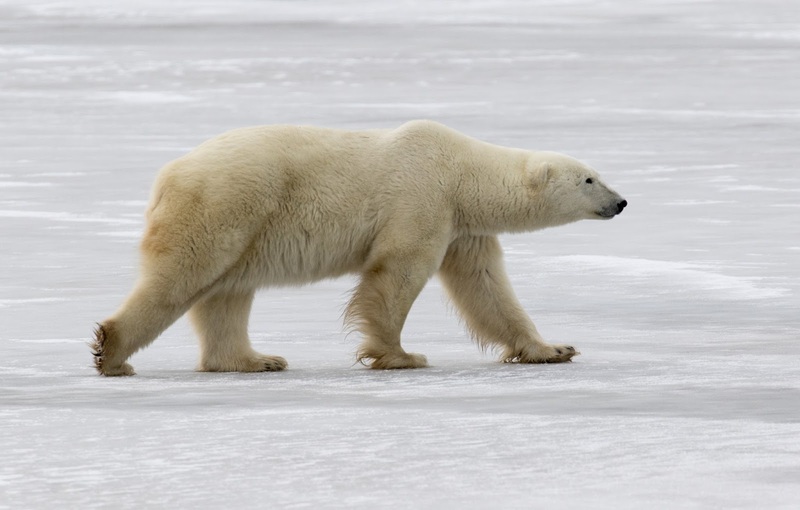 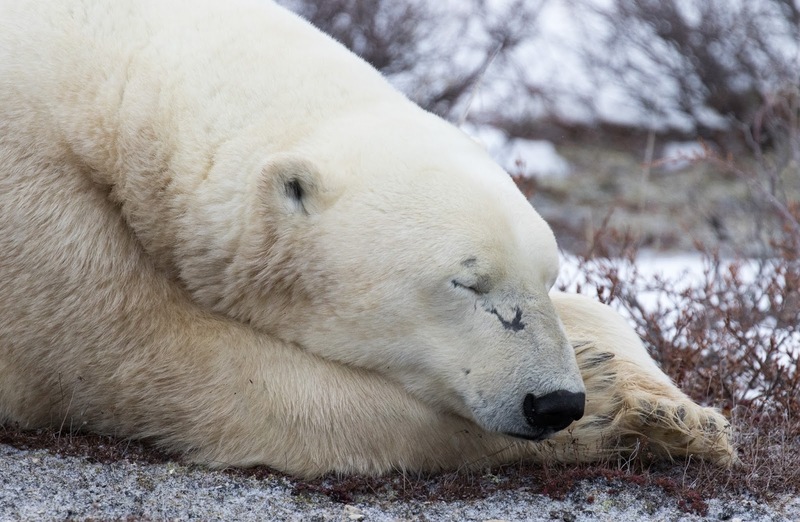 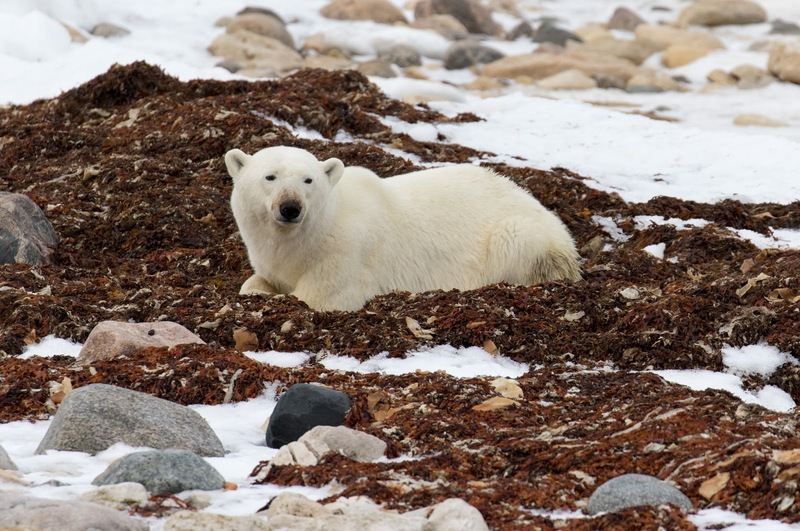 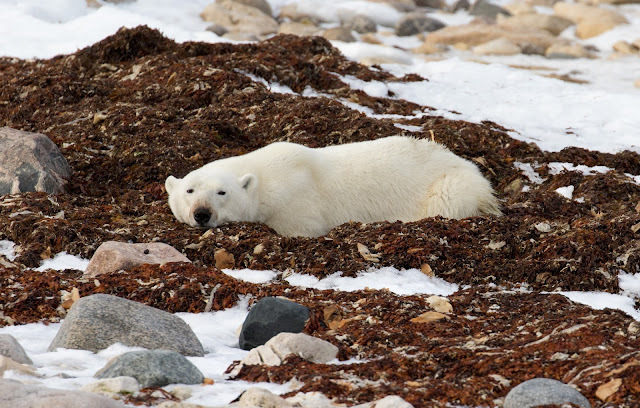 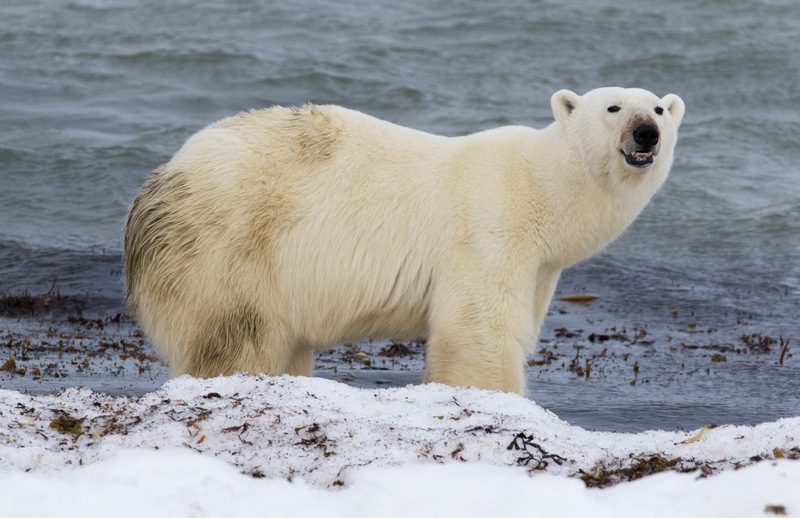 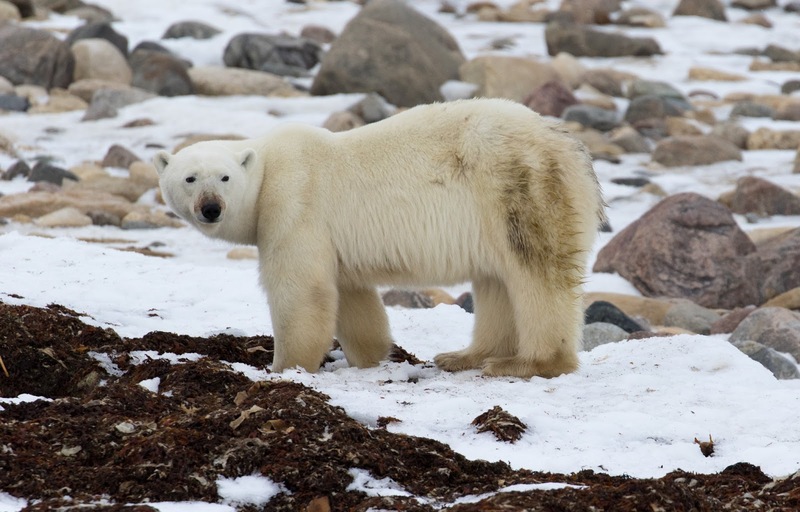 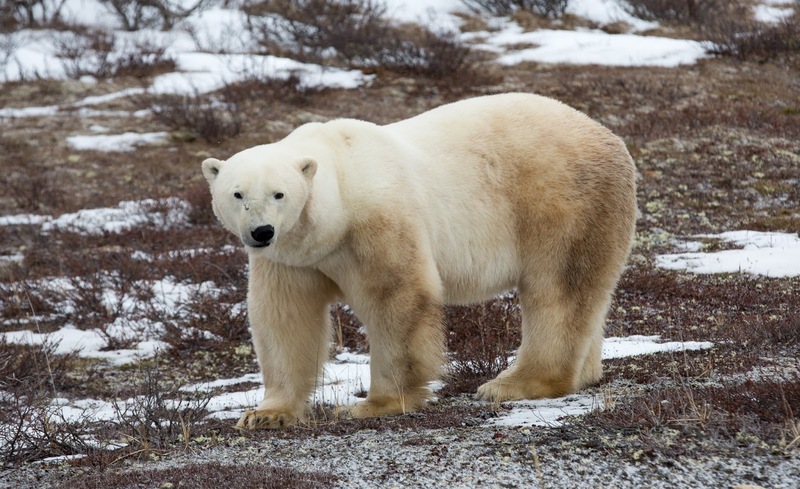 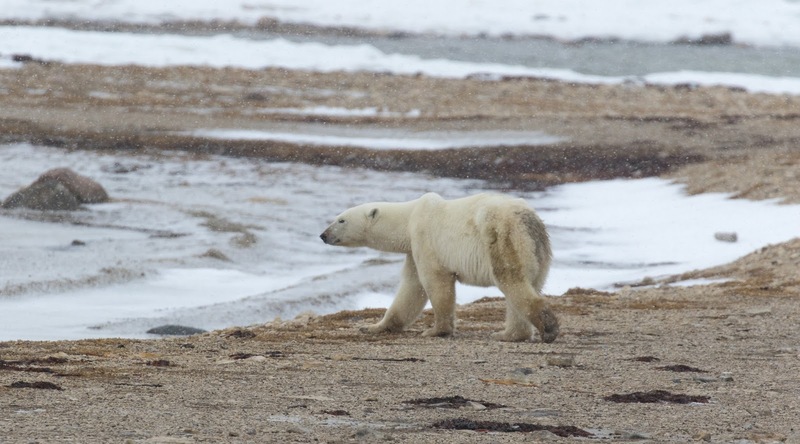 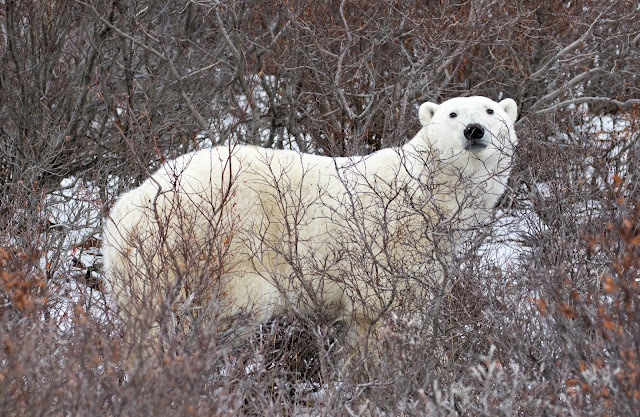 This type of excursion is most likely to get you closest to polar bears, and offers the greatest chance of seeing a variety in a short period of time. 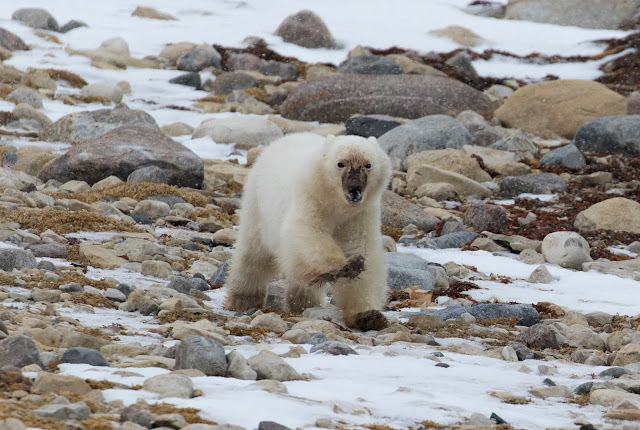 However, it doesn't offer solitude in the wilderness (the Buggies are crowded with sometimes insensitive tourists), and gives rise to numerous pictures being posted online like mine above, with an unnaturally high viewpoint. 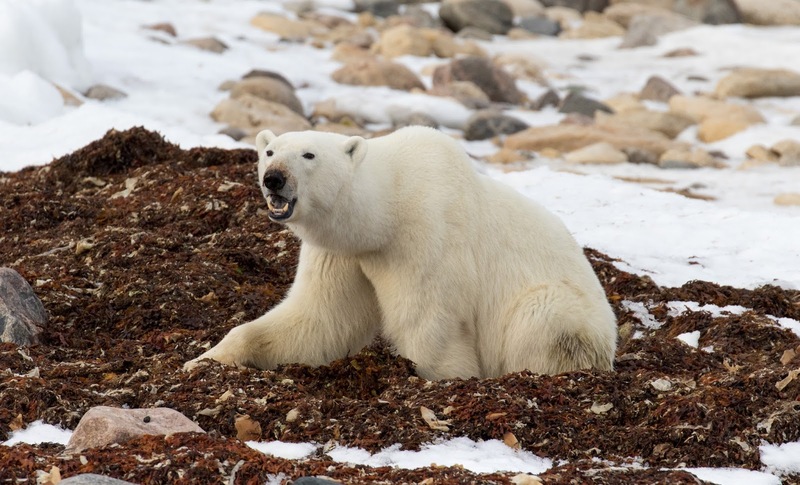 If you're a very keen photographer, it is possible to hire guides in Churchill who will allow you to capture more natural viewpoints. If you are set on a buggy tour, the two reputable companies are Frontiers North and Great White Bear Tours (the latter used by Natural Habitat for its tours). 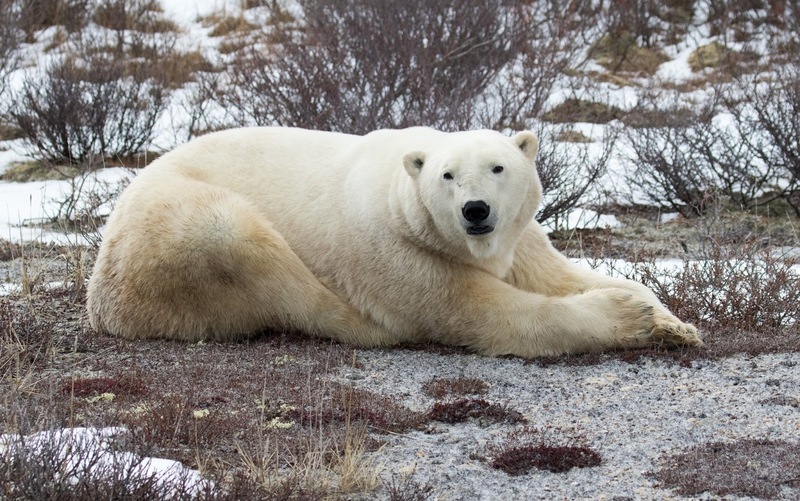 A third company called Lazy Bear advertises tours at a similar cost, but doesn't have the permits to venture beyond Bird Cove, which is open to anyone with a rental vehicle. 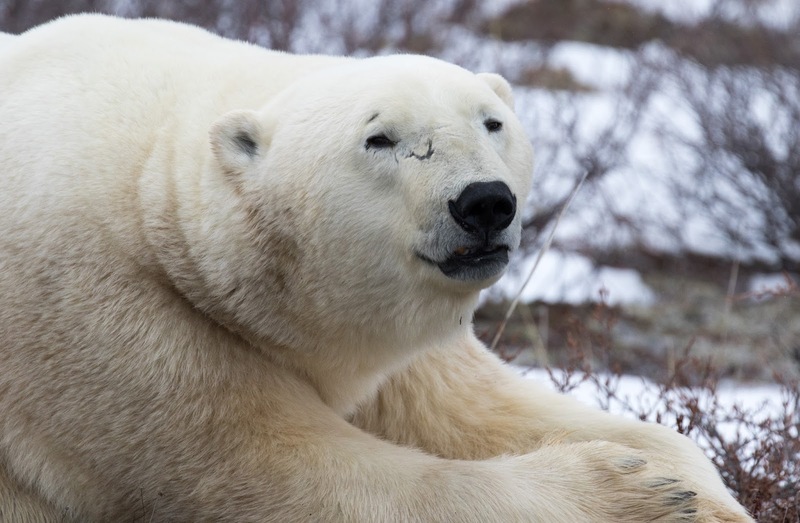 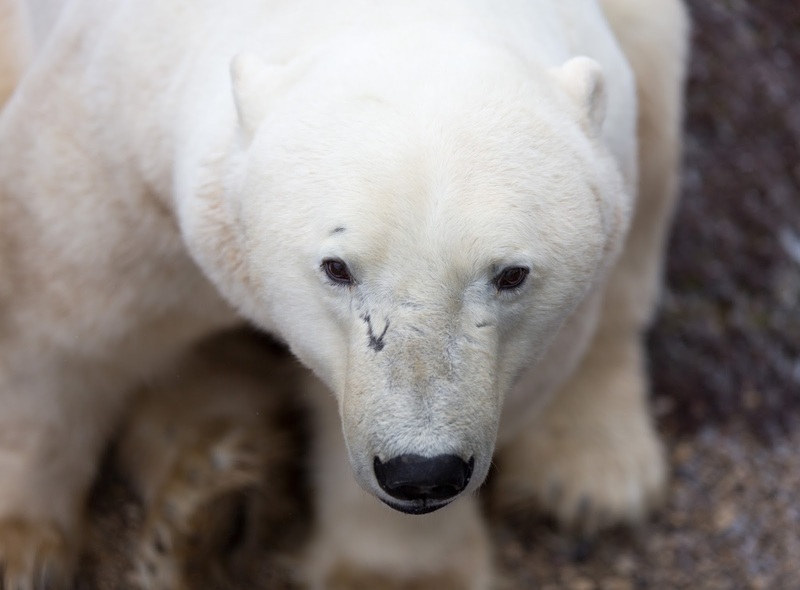 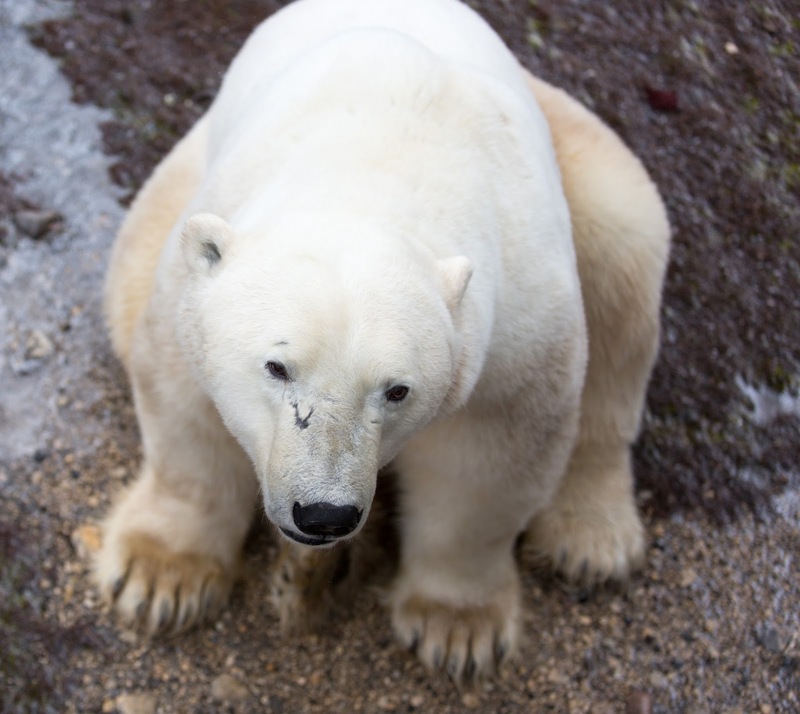 If, however, you wish to prioritise a low impact and educational experience, I can strongly recommend the non-profit organisation Great Bear Foundation, with whom I have travelled several times. 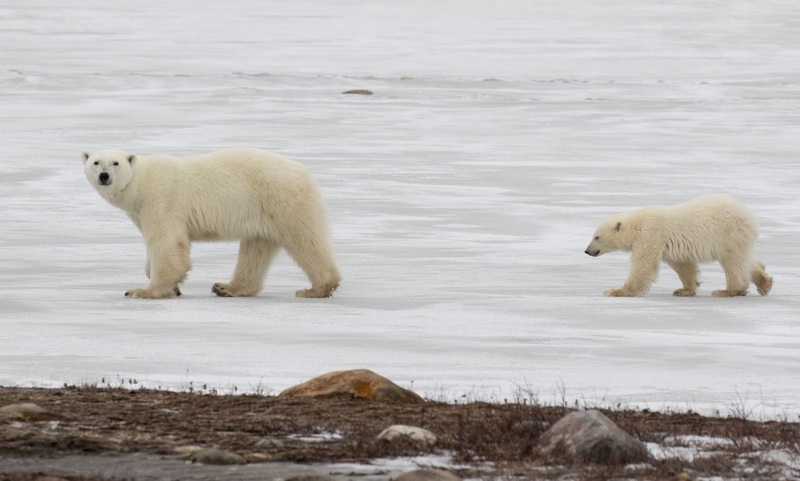 I don't recommend travelling independently, as I do, unless you're familiar with the area and with safety in polar bear country.